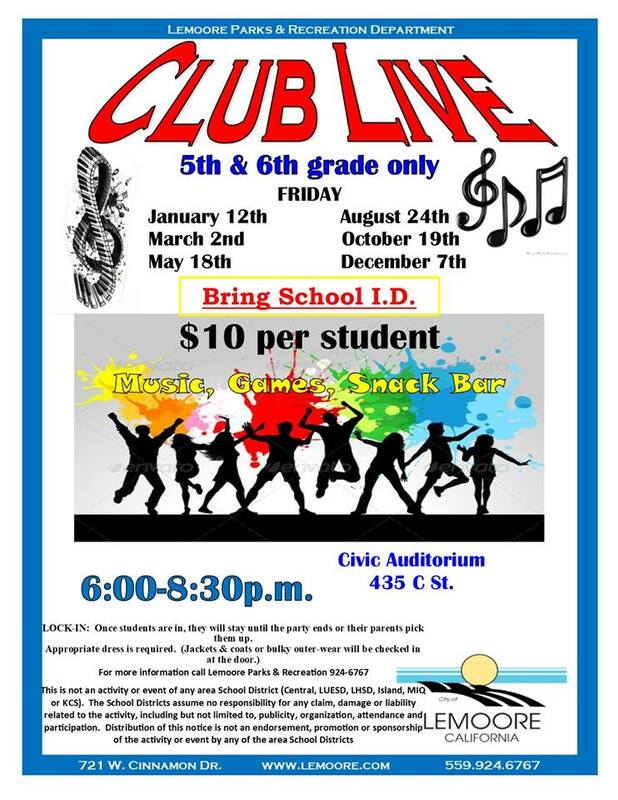 5th and 6th grade dance this Friday at the Lemoore Civic Auditorium, 435 C Street. DJ, games, and a snack bar. MAKE SURE TO HAVE AN I.D.